By Jason Davis – WASHINGTON, DC (Apr 12, 2019) US Soccer Players - The LA Galaxy moved to strengthen its defense on Wednesday with the signing of Costa Rican center back Giancarlo Gonzalez from Serie A side Bologna. Gonzalez returns to MLS after nearly five years in Italy where he also played with Palermo. The defender played with the Columbus Crew for half a season back in 2014 before the club sold him to Palermo following his performance in the 2014 World Cup. Gonzalez’s quick exit was one of the few times in league history where a club turned a player around for a significant profit on such a short stay. Gonzalez moved from Valerenga in Norway to join the Crew, an example of Major League Soccer’s tendency to look to Scandinavia for reasonably priced talent. Guillermo Barros Schelotto’s team paid a fee for Gonzalez (undisclosed, because this is MLS) in addition to the cost moving up in the allocation order. MLS rules require a player returning to the league after a sale abroad to go through the allocation process, so acquiring Gonzalez forced the Galaxy to pay a price to move up to the top spot. The move reunites Gonzalez and Barros Schelotto, in a sense. The coach was hired by Palermo in 2016 but never coached a game. Barros Schelotto lacked the necessary UEFA coaching badges to coach in Serie A and returned to Argentina less than a month after arriving in Italy. Getting Gonzalez to LA involved sending Toronto FC a 2020 first round draft pick for the number one position in the allocation order, pushing TFC into the number two slot previously held by the Galaxy. With Gonzalez signed to LA’s roster, Toronto moves back into the top spot. The Galaxy paid Orlando City $400k in TAM, split across two seasons ($300k in 2019 and $100k in 2020) to jump from number eleven to number two. Altogether, it’s a hefty price to pay for a 31-year old center back, regardless of his resume. The Galaxy’s move for Gonzalez was possible in part because he wasn’t a preferred option for Bologna this season. With the club in a relegation battle, Gonzalez hardly saw the field in Italian league matches. He had just 12 Serie A appearances this season, four of them starts. An odd note, the Galaxy purchased Gonzalez from another MLS owner. The family of Montreal Impact owner Joey Saputo is the major shareholder of Bologna, with Saputo serving as club chairman. It’s not as though the Impact couldn’t use the help at center back. Instead, Gonzalez’s move to LA is a function of the MLS salary budget and allocation rules. If nothing else, the transfer proves the shared ownership between Montreal and Bologna won’t stop the Italian club from selling a player to the highest or only bidder, even if that bidder is a competitor of the Impact in MLS. In LA, Gonzalez will step immediately into a back line that has been a work in progress for more than two seasons. LA’s wooden spoon campaign of 2017 included a disastrous defensive record that saw them concede 67 goals in 34 games, better only than expansion side Minnesota. 2018 brought improvement, but the standard was still too low for the Galaxy to reach the postseason. Head coach Sigi Schmid and interim boss Dom Kinnear rotated through a group of central defenders that included Dave Romney, Daniel Steres, Michael Ciani, and Jorgen Skjelvik. The club gave up 64 goals in 34 matches with their attack pushing them to a 7th-place finish. Zlatan Ibrahimovic’s arrival boosted LA’s goal-scoring output, but it couldn’t overcome the problems at the back. Nothing illustrated just how damaging the Galaxy’s defending was to its playoff chances like the three goals conceded to a 10-man Dynamo at home in the final game of the season. All LA needed was a single point to reach the postseason, but the defense couldn’t do the job. So far in 2019 under new head coach Guillermo Barros Schelotto, the club has made due. Ciani and fullback Ashley Cole left in the offseason. New GM Denis te Kloese added Uruguayan Diego Polenta and a pair of players from LA Galaxy II, Julian Araujo and Diedie Traore to the defensive group. Ahead of the season, the single signing likely to receive starter minutes was a surprise. 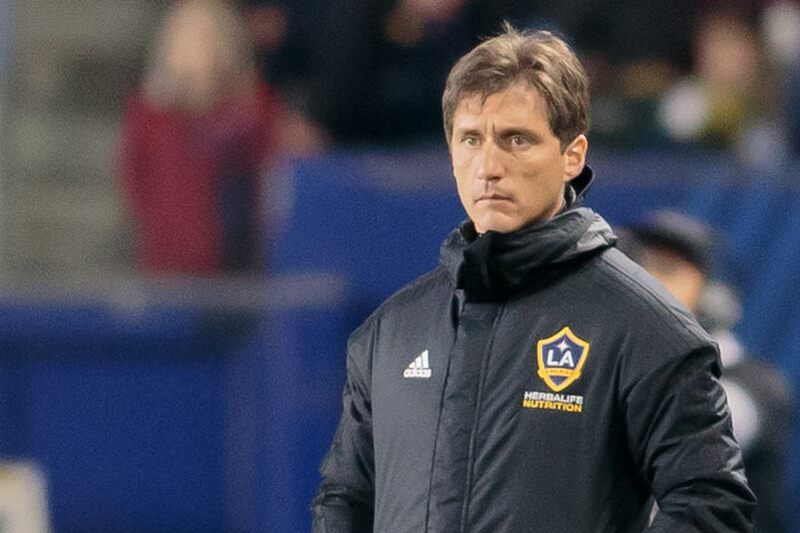 Even if Barros Schelotto got the Galaxy playing a smarter, more efficient brand of soccer, the club didn’t appear to have the talent necessary to climb the defensive rankings in the Western Conference. The sample size is small, but the Galaxy is only giving up slightly more than a goal-a-game so far in 2019—six goals in five matches. That level of defensive success over the course of the season, extrapolated to about 40 goals, would likely be among the best in MLS. In 2018, only the Supporters' Shield-winning New York Red Bulls conceded fewer than 40 goals on the year. No one believes that the Galaxy can keep up that strong record. The schedule has been easy for LA so far, with none of the five teams the club has faced considered a top attacking team in MLS. Things will only get tougher from here. Once Gonzalez’s paperwork clears, he’ll slot in alongside either Polenta or Steres. Which of those two players makes way is something of a mystery. Neither has stood out over the other in the early going. If goal-scoring stats matter, Steres may have the advantage over Polenta. The 28-year has two goals already in 2019 and is a significant threat on set pieces. One factor in just how much Gonzalez will contribute to the Galaxy in 2019 is the coming Gold Cup this summer. Gonzalez remains a fixture for the Ticos and will undoubtedly take part in Costa Rica’s tournament team. MLS will break only for the first week of the tournament, meaning Gonzalez will miss time while away with his national team. Because he played so little in Italy, it’s difficult to know just what LA is getting in Gonzalez. Despite the price, the signing is worth the risk because of his familiarity with MLS and his proven abilities. The Galaxy is betting that Gonzalez can regain his form with regular time and play to a level high enough to put him in the upper echelon of MLS center backs. After a month of speculation and wrangling over the transfer, the Galaxy got its man. How much better will he make his new club?